Cable for the LFH-59 or DMS-59 Connector to DUAL VGA HD15-Female. 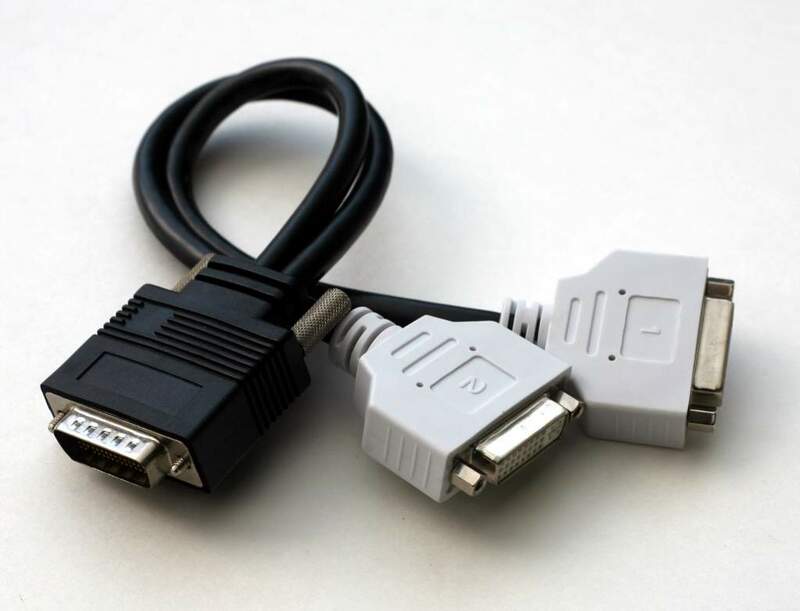 Dual VGA to LFH59 Connector. These cards are used in Many HP and Dell computers. Used to Connect two(2) SVGA and above Monitors to a Computer Workstation.